From the Kingdom Hearts III comes these action figures based on the game! 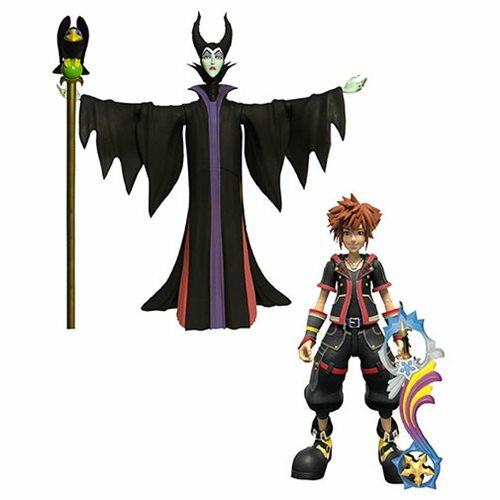 The Maleficent with Diablo and Sora 2-pack comes with the Starseeker Keyblade. Each 7-inch scale action figure features multiple points of articulation, and the two-pack comes in display-ready Select packaging, with side-panel artwork for shelf reference.